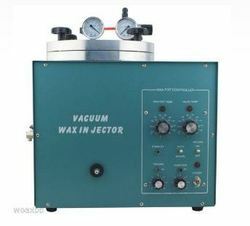 - Vacuum Wax Injector Electricity Supply: Power supply220V/50Hz Power: 800W Temperature Range: 0-300℃ Wax Pot Capacity: 3.1L(3.2kg) Dimension:52×40×47CM Weight: 20kg. 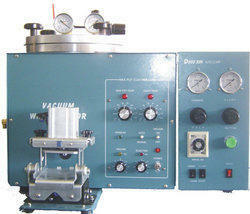 Our firm holds a prominent market position in offering a best quality gamut of Wax Injector. Best grade raw material sourced from leading vendors of the market is used in fabricating the product range. This injector is made from superior quality raw material and advanced technology in compliance with set industrial norms. Price ranging from 65000 to 90000.